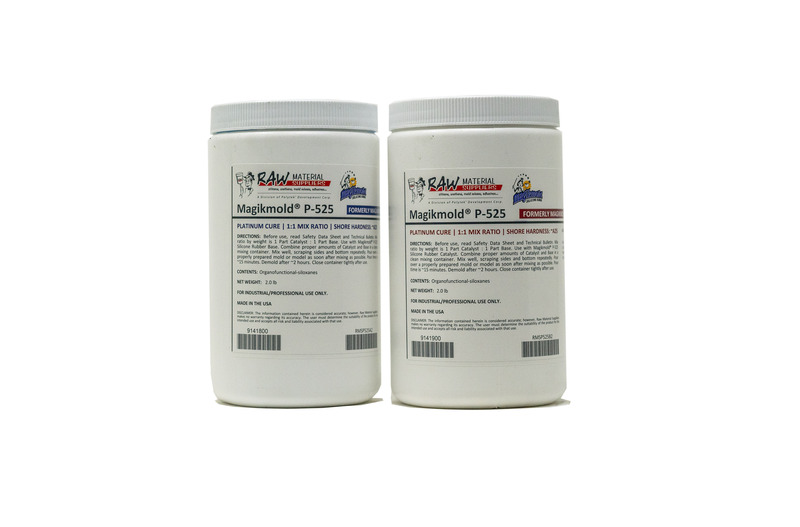 Magikmold® P-525 is a two component, platinum-cured, room temperature curing silicone rubber used in the manufacture of flexible molds. 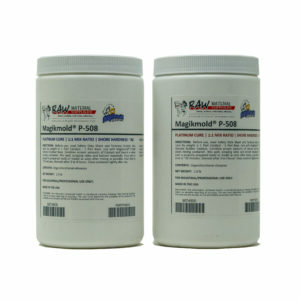 Available in 4 kit sizes. 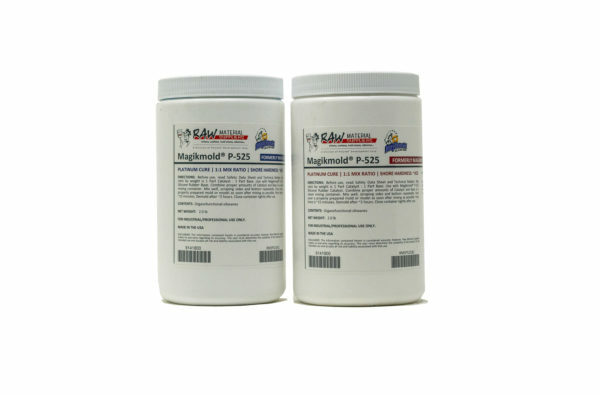 Magikmold® P-525 is a platinum-cured, room temperature curing (RTV), silicone rubber designed for the manufacture of high-performing, flexible molds. 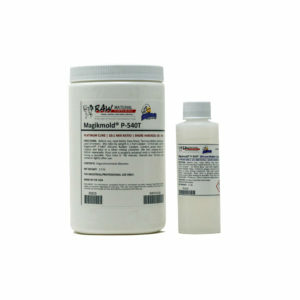 This two-part (Catalyst & Base), liquid silicone rubber has a Shore Hardness of A25, a pour time of ~15 minutes, and a demold time of ~4 hours. Demold Time @ 77°F 4 hr.